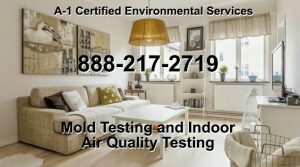 At A-1 Certified Environmental Services, LLC, we aim to provide the fastest and most reliable mold testing available. We understand that you have a busy life and are always on the go. If you think that you might have a mold problem, call us immediately before the situation get any worse. We will be able to come to your house or your business quickly. We undertake Indoor Air Quality Testing and Mold Testing in San Francisco, Los Angeles, San Diego, San Jose, Sacramento, Long Beach, Oakland and in all regions of California. We cover the California region including: San Francisco, Los Angles, San Jose, Sacramento, San Diego, Oakland and Long Beach. 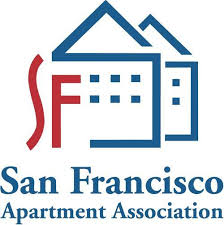 Indoor Air Quality Testing and Mold Testing in San Francisco. Indoor Air Quality Testing and Mold Testing in San Francisco and Los Angeles. California's best indoor air quality & mold inspection and testing. A-1 Certified Environmental Services, LLC provides quality Independent Mold Inspection Services in San Francisco and Los Angles regions of California. Mold remediation can be costly. Pre-testing will allow us to confirm the presence of black mold and other toxic or non-toxic mold conditions. We will find out if you really have a mold problem. It's possible that remediation may not be required. We are not affiliated with any Mold Removal Companies or Mold Remediation and we PROMISE that our customers will receive objective, non-bias test results! Carl Gibbons has over 21 years experience in the construction industry. In addition, Mr. Gibbons has obtained extensive professional instruction in the study of microbial organisms, including: Environmental Solutions Association (ESA), Pro-Lab, MASLabs, and ENPRO University Environmental Sampling for Insurance Related Claims, American Society of Professional Real Estate Inspectors, MoldTech & Moisture Management Assessment and Air-Care (Air Duct Decontamination). Highly recommended service provider. We found some [scary to us] mold in our house and gave A1 a call to do some air quality testing. He was very helpful on the phone, asked questions to better understand our needs, and arrived promptly at the agreed upon time. While at our house he walked us through each step of the process and answered all of our questions. At the end of the visit he walked us through how to read the report that would be sent later. Worrying about the safety of your family is the worst, finding someone who can offer helpful insight is awesome - thanks Carl! Mr. Gibbons is also a member in Good Standing in the Pro-Lab Professional Partners Program. Pro-Lab is one of America’s leading laboratories that specialize in microbial testing, and is accredited by the American Industrial Hygiene Association. Find out more about our Indoor Air Quality testing on this page. Please contact us regarding any Indoor Air Quality Testing and Mold Testing in the San Francisco and Los Angeles regions. Carl Gibbons has over 21 years of experience in the construction industry. A-1 Certified Environmental Services, LLC provides quality Independent Mold Inspection Services. Mold remediation can be costly. Pre-testing will allow us to confirm the presence of black mold and other toxic or non-toxic mold conditions. Let us find out if you really have a mold problem. It is possible that remediation may not be required. We are not affiliated with any Removal Companies or Mold Remediation. We PROMISE that our customers will receive objective, non-bias test results! Carl Gibbons has over 20 years experience in the construction industry. In addition, Mr. Gibbons has obtained extensive professional instruction in the study of microbial organisms, including but not limited to: Environmental Solutions Association (ESA), Pro-Lab, MASLabs, and ENPRO University Environmental Sampling for Insurance Related Claims, American Society of Professional Real Estate Inspectors, MoldTech & Moisture Management Assessment and Air-Care (Air Duct Decontamination). 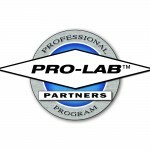 Mr. Gibbons is also a member in Good Standing in the Pro-Lab Professional Partners Program. Pro-Lab is one of America’s leading laboratories that specialize in microbial testing, and is accredited by the American Industrial Hygiene Association. A-1 Environmental Services, LLC Provides:*Commercial & Residential Mold Testing *Concrete Moisture Vapor Testing *Healthy Home Inspections *DNA Mold Testing – ERMI *Electromagnetic Field Testing * Radiation Detection *Formaldehyde Testing * Water Testing *Dust Testing * Refrigerant Leak Detection *Moisture Detection *VOC’s & Carbon monoxide Detection *Bacteria *Odor Investigation & Testing *Equipment Rental For Removal of Odors *Dehumidifier Rental *Air Blowers for Rent *Dust Mite *Allergens *Bed Bugs *Air Duct Cleaning (Commercial & Residential) *Commercial Laundry Mat Dryer Vents Cleaning *Pet Dander *Lead Testing * Green Building Testing and Consultant * Environmental Testing & Decontamination Services *Meth, Amphetamine, Marijuana, Cocaine, Heroin, Cigarette and Tobacco Residue Testing and Detection* Can test for Silica & endotoxin. Carl Gibbons has 21 years of experience in the construction industry. At A1 Environmental Services, LLC, we aim to provide the fastest mold testing available. We understand that you have a busy life, and are always on the go. If you have any suppositions that you have mold, do not wait to call us. We will be able to come to your house quickly. We have many more rave reviews here! 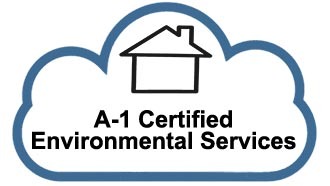 At A-1 Certified Environmental Services, LLC our main focus is on Indoor Air Quality Testing, Mold Inspection, VOC Testing and Formaldehyde Testing. Find more on our Mold Testing services on this page. Typically we offer any these services for residential homes, office buildings, schools, churches and warehouses. Essentially we can provide indoor air quality testing and mold testing for your home, office or commercial building no matter how large or small. Our indoor air quality testing provide accurate lab results that ensure you do not have harmful toxic particles or mold in your air. Mold grows throughout the natural outdoor environment as well as indoors in any building with moisture issues. Mold produces microscopic particles called spores which, once airborne, can spread easily. Once mold spores land on a damp spots or any areas prone to frequent moisture, they begin growing and spreading. Any building with excessive moisture, mold growth will often occur, particularly when the dampness remains undiscovered for long periods of time. This is where we come in! If you have any suspicion that you have indoor air quality issues, call us and we will set up a convenient time to to test your building for air quality problems. You come home after a long day at work, you sit down and take a deep breath. Most of us never think about what’s in air they are breathing when they enter their home, but what if the air within the confined space of our home is polluted? That deep breath may bring more harm than good. Awareness is the first step to ensuring your home is not threatening your health or the health of your family. Having the air tested by an accredited, independent, unbiased company, can provide you with the information you need to take that first step of becoming aware of the potential of an unseen danger that may be present in your home. What do we mean by “unbiased?” We mean having the testing performed by a company that only offers testing and does not also provide any remediation (clean up services). As a result, a testing-only company does not have the potential for a conflict of interest like a remediation company does if you hire them to perform the initial testing. If you want to get honest answers about the air quality within your Los Angeles or San Francisco home, A-1 Certified Environmental Services is an excellent choice. Here are some indoor air quality testing basics. When the air is tested, an air quality specialist will take air samples from within and without your home or building. He or she may suggest taking samples from different parts of the home or building based on a visual inspection in order to get the most accurate readings. From there, an independent accredited lab will use specialized testing equipment to measure the pollutants in your air. The air sampling should take anywhere from one to three hours, depending on the size of your home or building. A short time after the samples are collected, they will be sent to the lab. You will receive a detailed report listing the pollutants that were found within your home and the level of particles that were found outdoors. In the report, the indoor air sample results are compared to what was present outdoors, and if there are any unusual or toxic molds present within your dwelling. A-1 will recommend what course of action you should consider to address the problem, whether it is repairing a water leak you were unaware of, or if you should consultant a remediation company for further action. The lab report is typically emailed to the customer within 2-5 days business days and is sent directly from the lab. The more detailed the report, the longer it might take for the microbiologist to complete the analysis. Who Should Get Air Quality Testing? Everyone can benefit from air quality testing. Recently, California has experienced more wild fires than ever before. Up and down the coast, from Los Angeles to the San Francisco, Bay Area, certain areas have been ravaged. Also, if you've lived in your home for a long time, if you've had plumbing leaks or your home tends to have high humidity levels, you should consider having your indoor air tested. Pollutants build up over time. They accumulate in the carpeting and furniture and as you move about your house those pollutants become airborne. 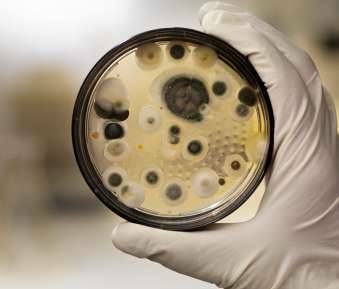 If you have a mold condition, it doesn't take long for mold to multiply and grow. All it needs is the right amount of moisture and a food source, which is anything made from wood. If you have your air tested, you are proactively avoiding a potential problem from taking place thereby ensuring that the air within your home is not a threat to you or your family. Children, the elderly and the family pet are particularly vulnerable to certain indoor air pollutants. For anyone buying or leasing a new home, indoor air quality testing may be as important as a home inspection. In either case, you’re making sure that your investment is not threatened by an unseen, unsafe air environment. Building owners and managers should also test their air quality on a regular basis. In fact, if you run an apartment complex and you've had water leaks it would behoove you to make sure a mold problem has not taken hold as a result. Landlords have a duty to ensure the habitability of their property. Avoid landlord/tenant disputes and test if there is a potential for a problem present. The aforementioned examples are just a few reasons why indoor air quality testing makes sense. If you have any doubts about your indoor air quality, go ahead and get it tested. You’ll be able to breathe a little easier, both literally and figuratively. What Do Our Technicians Look For? Organic Waste - Organic waste usually becomes a problem during the spring and summer months, although it can also show up during the winter. Some of these organic materials can make the air toxic. The most common examples come from allergens. Substances like pollen and ragweed can get into your indoor spaces. A more dangerous example comes from animal waste. If you have an infestation that you don’t know about, or even if your pet has had a lot of accidents, you may have urine or feces particles in your air. ​Combustion Gases - Gases become a major issue during colder months when people need to heat their homes and buildings. Gases from stoves, fireplaces, and other sources can stay trapped indoors, causing major health problems. Volatile Organic Compounds (VOCs) can show up at any time of year. These chemicals come from ordinary household products, like plastics, air fresheners, beauty products etc... If you have enough of these products in your home, VOCs can affect the air quality. What Else Should You Test? Are there other health hazards that you should look for? As a matter of fact, there are. A-1 Certified Environmental Services can check for meth. Yes, methamphetamine. Unfortunately, there is a growing trend of meth production and it is usually done right in the apartments and homes of people who engage in this unlawful and dangerous activity. If you’ve recently moved or are buying a building, meth testing will let you know if meth production or use occurred in that building. Second, if you live near a wooded area, meth cooks may have used that area for product disposal. Meth vapor is very dangerous. If you come in contact with or the vapor is contained within a dwelling, it can cause great harm to anyone exposed to it. Indoor meth residue is far more common than most people realize, so it’s a good idea to get your air tested. A-1 Environmental Testing also checks for tobacco smoke and tobacco residue. Testing for tobacco is not only important to those living in residential buildings but is important if you have a commercial building as well. Smoke left over from previous owners can settle into the walls and carpets thereby polluting the indoor air environment. Either send an e-mail from our Contact Page or call us at the number below. We can set up a time for an indoor air quality inspection at your convenience. If you’re like the average American, you spend about 90% of your time indoors. According to the Environmental Protection Agency, this means that the air you’re breathing 90% of the time is likely polluted. In fact, indoor air is often up to 5 times more polluted than the air outside. Why is indoor air more contaminated? While outdoor air flows freely, indoor air does not. It's as simple as that, and even more so today because houses and buildings are sealed much better than they used to be. While that’s great for heating and cooling efficiency, it’s not good for the indoor air because buildings need to breathe. When pollutants get into these structures they get trapped inside. To make matters worse the HVAC system circulates the same air throughout these buildings over and over again. This polluted air takes a toll on the physical health of the people and animals exposed to them. Organic pollutants tend to cause the most harm to allergy and asthma sufferers. If anyone in your home or building has experienced increased asthma attacks, breathing problems, itching, sneezing, or any similar symptoms, you should have your air checked as soon as possible. Even if you don’t experience obvious symptoms, one of the best things that you can do for your long-term health is to get your air checked for toxins. Your future self will thank you. The EPA has pointed to something called Sick Building Syndrome. If people inside a building all experience the same health problems, and the health problems go away shortly after those people leave the building, then there's a strong possibility the building's air quality is to blame. According to the World Health Organization, (WHO) it is estimated that approximately seven million people suffered premature death in 2012 from illnesses that can be traced back to bad air quality. Specifically, this data shows links between both indoor and outdoor air pollution exposure and cardiac diseases, such as stroke and heart disease causing premature death. In some cases, air quality testing can literally mean the difference between life and death. All of this information can be alarming, but don’t panic. You can take matters into your own hands that's why we recommend getting your air tested today. Indoor air quality testing will tell you exactly how healthy or polluted your air is. Next, make sure that you’re regularly changing the filters in your air vents. Those filters effectively trap a lot of pollutants. However, once those pollutants build up past a certain point, your filters will start letting pollutants into your air again. Set reminders for yourself to buy new filters and change them fairly often. How often you change your air filters depends on you and your lifestyle. For example, if you have pets, allergies, or any other air quality anxieties, you should change your filters more often than someone who doesn’t have these concerns. Finally, make sure that your home or building gets proper ventilation. Remember when we said that polluted air gets trapped indoors? When you let air flow freely, you can get rid of that problem. Open your windows when practical to allow your home or office to breath. Take advantage of those kitchen and bathroom fans. You can even have a contractor look at your ventilation system to see how effective it is at moving the air and filtering the pollutants out of the air. You can take a lot of steps to protect yourself and it all starts with awareness. Call A-1 Certified Environmental Services to have your home, apartment or office building tested in Los Angeles or San Francisco area today. We can undertake most types of environmental testing you might need. Once you know the air you're breathing is safe, you will truly appreciate that deep breath you take at the end of the day.